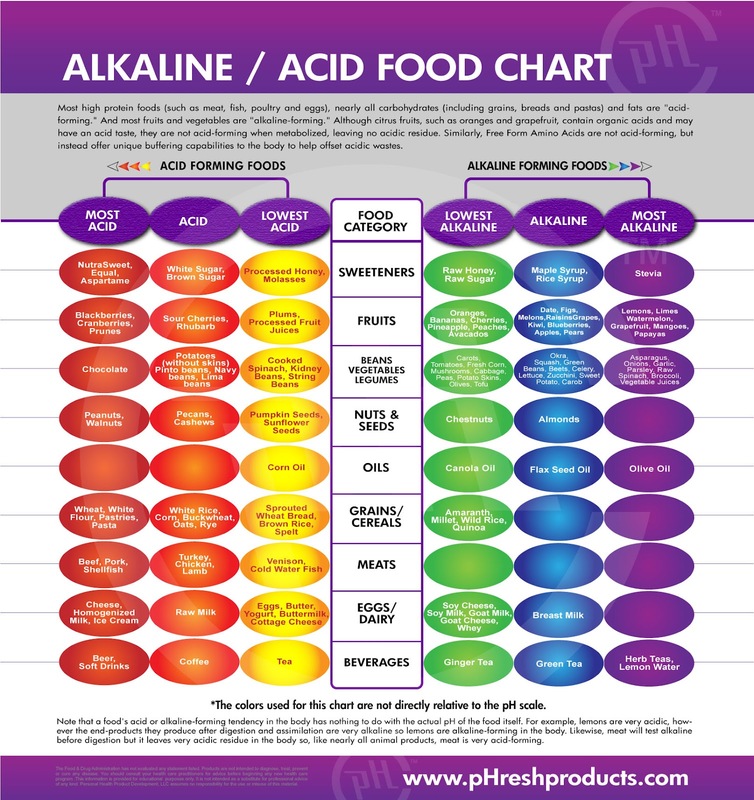 Everything has its own pH level – which measures how acidic or alkaline it is. A pH of 0 means something is completely acidic – for example, A pH of 14 means something is completely alkaline. For example, different parts of the human body have different pH levels – the stomach, for example, typically has a pH of anywhere between 1.35 and 3.5 – essential for effective digestion of food. Our blood, on the other hand, must always be slightly alkaline, somewhere between 7.35 to 7.45. The body maintains its pH balance irrespective of what we eat – but that doesn’t mean we shouldn’t give ourselves the best chance at health by considering the pH diet. Diets which are high in animal protein can affect the pH level of urine and are thought to contribute to an increased risk of kidney stones. Some researchers suspect that an alkaline diet may be beneficial in terms of slowing down bone loss and muscle atrophy and alleviate symptoms of some chronic diseases but as yet these theories have not been proved. Anyone embarking on this diet needs to make sure they get enough calcium. The alkaline diet emphasises healthy eating, with large amounts of fresh fruit and vegetables and high water intake. Soy, nuts and grains are also incorporated into the diet, and caffeine and alcohol are out. Although there is as yet no concrete evidence that the pH diet is any better than any other, the principles underlining it seem to be highly sensible. Anyone who has ever had a digestive disorder also knows that large amounts of sugar, wheat and processed foods can upset the stomach. As with any diet, an alkaline diet won’t suit everyone. If blood pH is highly irregular this is likely to indicate an underlying problem – anyone suffering from kidney disease or severe diabetes should make sure they consult with their medical practitioner before considering this diet. Thanks to Detox Me for this article.